The tone was set early in the month by the World Bank’s “Global Economic Prospects,” along with the accompanying articles. 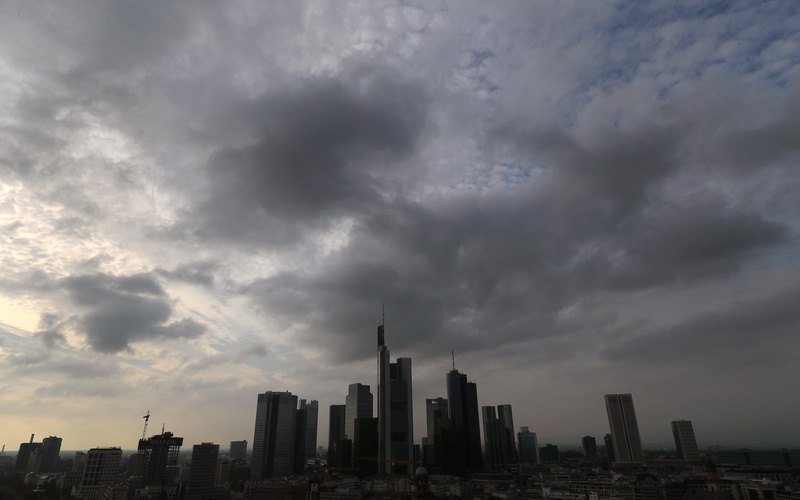 The report paints a picture as bleak as its subtitle—“Darkening Skies”—and cuts the growth forecast for the advanced economies in 2020 to 1.6 percent (down from 2.2 percent in 2018). Making matters worse, Germany is facing a growth slowdown. According to its own official data, the economy contracted by 0.2 percent in the third quarter of 2018, while the Purchasing Managers Index for manufacturing sank to 49.9—a four-year low. Given Germany’s role as the backbone of the eurozone economy, its economic struggles are likely to cascade beyond its borders. This is particularly problematic, because, after more than a decade of fighting crisis and recession, the advanced economies have depleted their ammunition for countering a slowdown. With the ECB’s benchmark interest rate at zero, there is little room for a cut. The Bank of England has not risked raising interest rates since August. Even the U.S. Federal Reserve signaled that it was slowing down the pace of its rate hikes. A new crisis would thus leave the advanced economies fumbling for fresh monetary instruments. Africa is on a promising trajectory. As the “African Economic Outlook 2019” notes, the continent has had a challenging few years, with growth falling from close to 5 percent annually in 2010-2014 to only about 2 percent in 2016. Yet, last year, growth climbed back to 3.5 percent in 2018, and next year, it could surpass 4 percent, propelled by some of the world’s fastest-growing economies, such as Ethiopia and Rwanda, which are posting annual growth rates well above 7 percent. Nonetheless, with major players like Nigeria and South Africa punching well below their weight, Africa is not yet in a position to pick up the slack left by the ailing advanced economies. The situation is more promising in Asia. China has played a major role over the last 30 years, but currently it is clearly in an adjustment phase, as it shifts to a higher-wage lower-growth economy. In 2018, Bangladesh, India, and Indonesia grew by an impressive 7.9 percent, 7.3 percent, and 5.2 percent, respectively, and the World Bank estimates that, in 2020, growth will exceed 7 percent in South Asia and 6 percent in East Asia. Given this, the budget that will be presented to India’s parliament on February 1—just months before the general election, expected to be held between April and May—will require extremely skilled policy design that creates programs to boost demand and employment, without running up the deficit. I believe monetary policy also has a significant role at this juncture. With inflation under control, the Reserve Bank of India could help stimulate the economy with a small cut in interest rates. In Indonesia, President Joko Widodo—commonly known as Jokowi—is facing mounting criticism for failing to achieve the 7 percent growth target he set when he took office in 2014. In fact, Jokowi’s target was always overly ambitious for Indonesia, an economy with a per capita income of over $10,000 (adjusted for purchasing power parity). Still, the government has important tasks to carry out. For one, the central bank’s response to the depreciation of the rupiah—six interest-rate hikes in the last three quarters—may have been excessive, even though the currency reached a 20-year low against the US dollar last year. Moreover, there needs to be better coordination of policies across local governments, which have been competitively raising the minimum wage, undermining Indonesia’s ability to take over low-cost manufacturing from China. Yet Jokowi—who will seek another five-year term in the April election—remains a source of hope. Illustrating his commitment to inclusivity, he is among the few political leaders in the developing world who have spoken up in favor of LGBTQ+ rights. If he is able to leverage his valuable personal qualities—which include a commitment to secularism and modesty that is becoming increasingly rare among political leaders—to push for needed structural reforms, Indonesia can achieve 6 percent annual GDP growth, making it a powerful driver of regional and global economic performance. Even if some emerging economies manage to secure strong growth, however, the world economy will remain encumbered by the combination of economic interconnectedness and political balkanization. At a time when the world urgently needs to improve the coordination of monetary, fiscal, and trade policies, it has, instead, been rolling back what little coordination previously existed. This is a direct result of worsening leadership in major economies, especially the U.S. under President Donald Trump. It is impressive what U.S. institutions—from the Fed and the judiciary to state governments, the media, and academia—have been attempting during these trying times. One also hopes voters globally will recognize the folly of nationalism and xenophobia in a deeply interconnected world.